Down the road we continued through the dust and heat until we finally approached the village of Hoja Blanca. The town sits in the bottom of a splendid valley, surrounded by steep coffee farms and lush jungle. Hoja Blanca consists of roughly 60 families, all of whom live in vibrantly gardened homes with gorgeous and ornate tiling. Nearly everyone here works with coffee in some form. Many own plots on nearby mountainsides while others help pick or process coffee. We wound our way past the town’s one church and only store and through the narrow streets of the town until we arrived at Aurelio Villatoro’s house. Immediately his family came out of the house and welcomed us with open arms. We met Aurelio’s wonderful wife, Aracely, a few of his brothers and extended family. They all own different farms in the town and were overwhelmingly friendly. We were stunned at the scale of their coffee operations and especially by the clever architecture of their homes. Each house, precariously perched on the hillside, is designed not only as a family dwelling but also ingeniously as a harvesting facility. Nearly all of them have flat, cement roofs blanketed by parchment coffee drying in the hot sun. Aurelio first developed this design in the 1980’s when he built his home. Since then dozens of houses in the village have followed his lead. Many homes also have warehouses and storage facilities directly built into them. The Villatoro family has been farming in this fertile valley for decades. His 92 year old father can still been seen in Hoja Blanca consulting with friends and family about farming or processing. Collectively the family—12 siblings in all—seem to exhibit an innate knowledge of coffee. Over the course of a few days, they divulged a myriad of insights from their expertise. This varietal grows better on north facing slopes. That shade of green means the coffee needs one more day to dry. 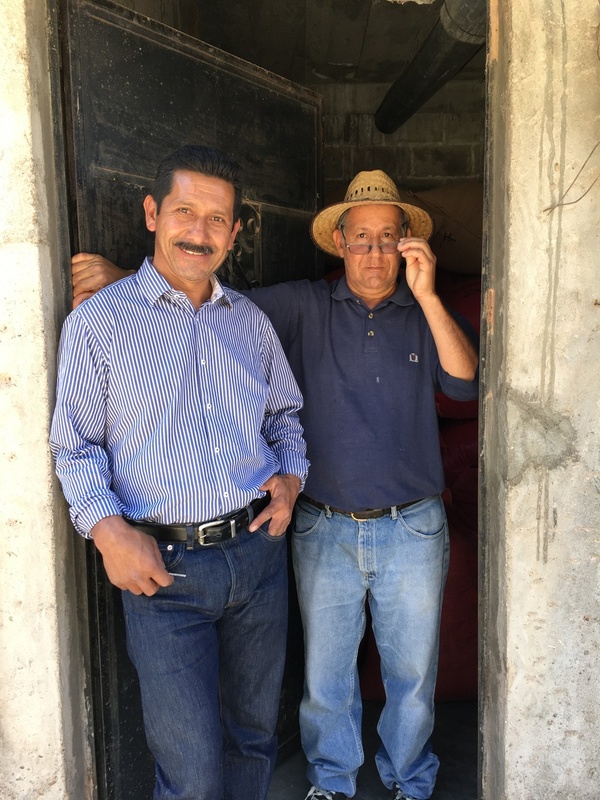 In the coming days Aurelio would teach us why they farmed and processed their coffees certain ways and how changes in farming or processing would change flavors in the cup.